As Modrall Sperling's senior female litigator, Martha Brown represents business clients in diverse areas of civil litigation in federal and state courts throughout New Mexico, at both trial and appellate levels. Martha brings more than twenty-five years' experience to her active tort, product and professional liability defense practice. She regularly represents professionals and professional organizations, healthcare providers, product manufacturers, retail service providers, and other commercial entities in the defense of diverse claims ranging from product, professional or other liability, wrongful death, unfair trade practices, and all other tort and contract issues. 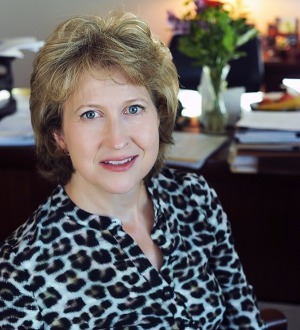 Martha provides advice and counsel to professional services entities and long term care providers on various issues, and represents them in the defense of malpractice and other liability claims. Her representation of commercial and non-profit entities has included defense of claims including lender liability, contract and other commercial disputes. She also has defended a variety of individual and public entity defendants on civil rights claims. Martha's representation of her clients is notable for her focus on innovative and strategic approaches designed to achieve the most effective outcome consistent with the client's objectives, whether through litigation, positioning a matter for successful dispositive relief, or where appropriate, early dispute resolution. Martha has been recognized by her peers and is rated AV® Preeminent by Martindale Hubbell. She is listed by Best Lawyers in America® in commercial law, named among those in Southwest Super Lawyers® and was selected as a Local Litigation Star by Benchmark Litigation. She has twice received the New Mexico State Bar's Outstanding Contribution Award. University of Wisconsin - Madison, J.D.